If you’re a mystery lover, the annual announcement of the finalists for the Edgar Awards is always a great way to add excellent mysteries to your to-be-read pile. The Edgars, named for Edgar Allan Poe and awarded by the Mystery Writers of America, announced the 2019 finalists (for books published in 2018) on January 22 for the best in mystery fiction, nonfiction, books for youth, and television. The winners in each category will be announced on April 25, 2019. We’ll be rooting for Washington authors Mike Lawson and Ben Guterson. 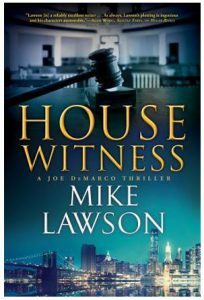 Lawson’s book House Witness, the 12th in the Joe DeMarco series, is a finalist in best mystery of the year. 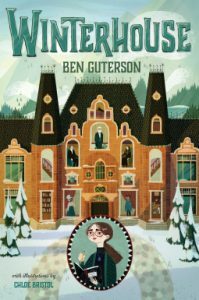 Guterson’s middle grade novel Winterhouse is a finalist in the “juvenile mystery” category. Here’s a bit about each book, with descriptions courtesy of the authors’ publishers. Place a hold at your local library now! Minority Leader of the House and DeMarco’s long-time employer John Mahoney has kept more than one secret from his wife over the years, but none so explosive as this: He has a son, and that son has just been shot dead in a bar in Manhattan. Mahoney immediately dispatches DeMarco to New York to assist prosecutor Justine Porter, but with five bystanders willing to testify against the killer–rich-boy Toby Rosenthal–the case seems like a slam-dunk. That is, until Porter begins to suspect that someone is interfering with those witnesses, and that this may be connected to a pattern of cases across the country. Is there someone who is getting witnesses out of the way when the fate of a wealthy defendant is on the line?